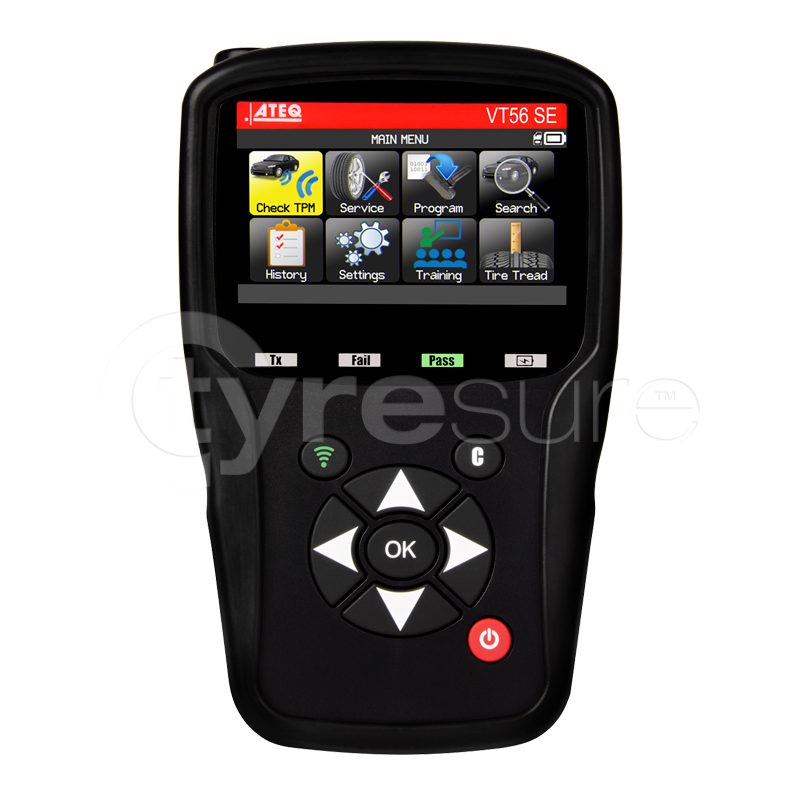 The ATEQ VT56 SE with OBDII module is the latest fully updateable TPMS activation and scan tool, manufactured by market-leader, ATEQ. A ‘lite’ version of the VT56, the new VT56 SE is a streamlined edition of the tool - offering all of the essential functions required, at a lower cost. The VT56 SE is designed to investigate and store sensor data, and allows this data to be transferred to the vehicle via the OBDII socket. The VT56 SE has been designed for ease of use, featuring a 4.3 inch full-colour icon-driven display and 8 soft-keys to easily navigate through the menus. Included within the software is a comprehensive database of European vehicles, part numbers, relearn procedures, OBDII locations, a key fob RF tester, help screens and a complete history log of all vehicles serviced, which can be easily recalled at any point from the History menu. Please note: this tool has updateable vehicle coverage for Europe only, and does not include WiFi capability, a VIN barcode scanner or a printer.